So fellow travelers, a month ago life threw me a major side track which tipped the balance of my time towards adjustments at work. Writing had to take a backseat although I did amass a portfolio of images and notes which are keeping the creative embers alive in my heart. The tectonic shifts at work seem to have settled and there is a visible Light at the end of the tunnel of this black hole of time constraints. 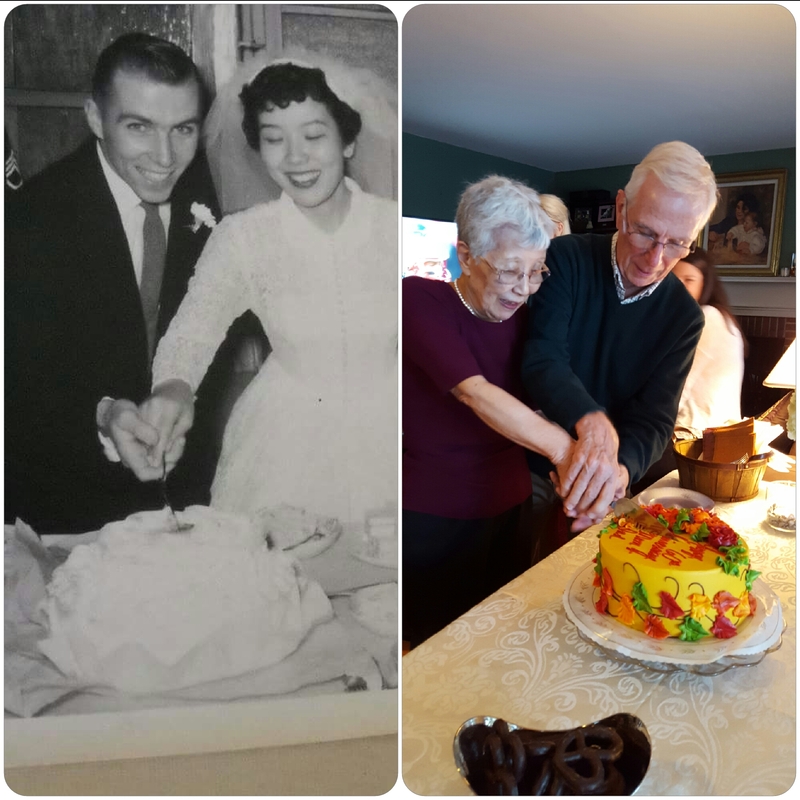 Sixty years of love, dedication and good measure of humor. My parents are an inspiration to all of us. Yesterday was a joyous afternoon of laughter, stories, lots of family snapshots and great food. My brother and sister-in-law are awesome, gracious hosts. This morning I woke feeling some stretch of the heartstrings, knowing our girls missed being there. 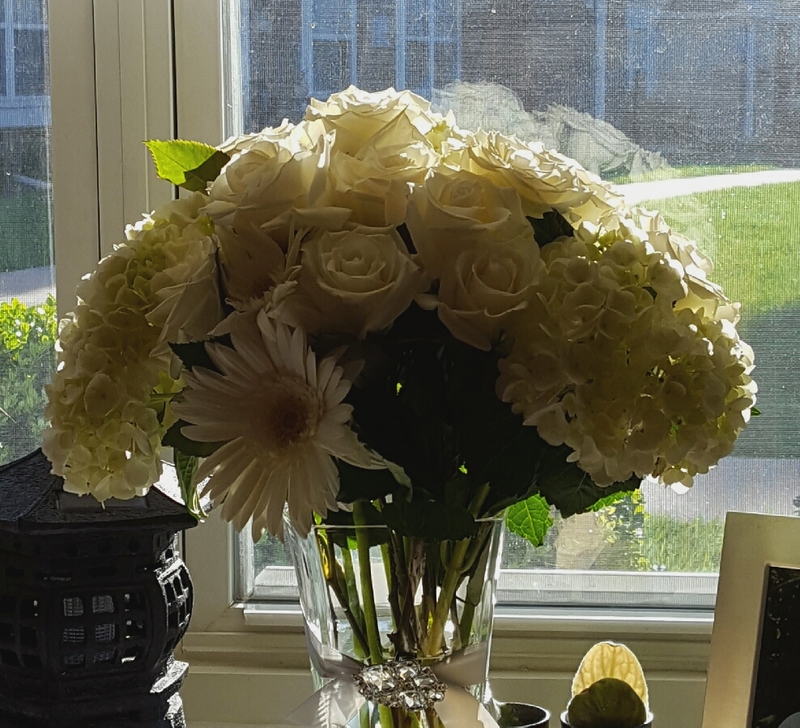 Yet when I came downstairs to have breakfast with my parents I caught the glow of morning light on their stunning celebration bouquet. It’s surrounded by family photos and I could feel love’s Light connecting us through the miles. The thought brought peace to my spirit and these words of grace.